Like black widow spiders who chow down on their male counterparts or tiger sharks who sometimes engage in some friendly, neighborhood cannibalism, the One Direction fandom has turned on two of their own. Zayn Malik, one of the members of One Direction who isn't Harry Styles, had finished innocently performing a leg of the boy band's "Where We Are" tour in Argentina about five months ago when a bag of his private belongings was stolen while he was in transit in Peru. No one had any idea it had even happened until just recently when the culprits, two crazed 1D fans, revealed their actions by posting a video of Zayn Malik's stolen items on Facebook. The backlash on Twitter was swift and full of enough death threats to keep the NSA busy for weeks. Um, you guys, remind me to NEVER (I repeat, NEVER) piss off a One Direction fan. According to the girls, Zayn's 1D entourage "accidentally" dropped his bag in a Peru airport, and they figured the best way to handle the situation was to take it for their own, and then post a video containing all of the contents to social media. Naturally. The vid has since been taken down, most likely because the Directioner fandom got "#zayndeservesprivacy" trending in honor of the major violation these klepto fans mistakenly thought was A-OK, and lambasted the hell out of them. This all comes hot on the heels of Twitter proclaiming just yesterday that Malik and fiancé Perrie Edwards had possibly gotten hitched. (They most likely didn't.) Can you keep up? Although the video no longer exists a few screenshots reveal that the girls were showing off a pair of Malik's boxers, jeans, and a sketch book containing his own personal doodles. 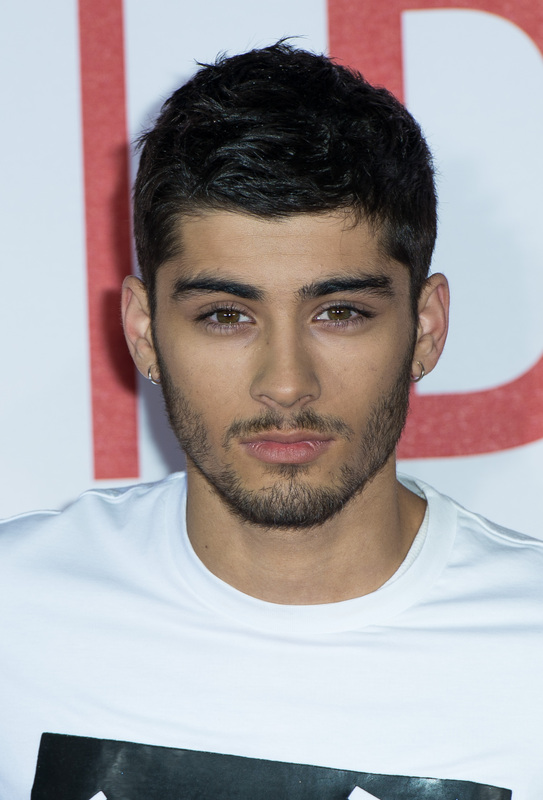 Zayn has yet to acknowledge the incident, but it's safe to say that, as always, his loyal fans have his back.